Ahead of its launch in 2019, we drive a pre-production prototype of the Skoda Scala hatch to see how it compares to its rivals. The Skoda Scala hatchback is due to make its first public appearance in December this year before going on sale in 2019. It technically replaces the Skoda Rapid, but it also represents a move into the ultra-competitive C-segment hatchback market where it will face rivals like the Kia Ceed, Hyundai i30 and Renault Megane. That segment is also home to heavy hitters like the Ford Focus and Volkswagen Golf, though the Skoda will go against models in the more price-conscious end of the segment. It is also the part of the market that the Skoda Octavia resides in, and while it may seem like Skoda is stepping on its own toes, bosses have told CompleteCar.ie that the next generation of the Octavia will take a different position in the market. It may be difficult to tell just how the Skoda Scala looks with the dazzling camouflage that disguises the pre-production prototypes that we're driving here, but we did get to see a signed-off version without any disguise. It is quite close to the look and size of the Vision RS concept car that made its debut at this year's Paris Motor Show. The Scala is built using the Volkswagen Group's 'MQB A0' platform, which also underpins the SEAT Ibiza and Volkswagen Polo. To add more size to the Scala, engineers have stretched that platform, resulting in an overall length of 4,362mm and a wheelbase of 2,649mm. That length between the wheels is 85mm more than the Polo, incidentally, giving the Scala superior rear passenger space. Up front, the Scala features the same grille design as the concept. Angular headlights give the car a distinctive look and full LED units will be available. Many of the usual Skoda design traits feature, such as the bulging power dome that extends rearward along the bonnet from the badge. The lower section of the front bumper incorporates an air curtain that channels air in and around the front wheel, too, similar to the system used on several BMWs. These measures help to contribute to what is a low drag coefficient of 0.29, making it one of the more aerodynamic cars in the segment. Almost the entire underbody of the Scala is enclosed to smooth out the airflow, which has further benefits concerning the reduction of road noise at higher speeds. The styling at the back of the Scala is similar to the concept show car's, but the bottom of the large glazed part of the tailgate that cuts back into the bodywork is more pronounced, giving it a more stepped appearance. In a bid to make the Scala appear more upmarket, the traditional badge is replaced by Skoda lettering across the bottom of the glass. Skoda's traditional C-shaped rear lights make way for a new light signature, too, with the clusters now stretching more into the rear arches and featuring a detailed crystalline design similar to those on the Kodiaq and Karoq SUVs. A longer rear overhang contributes to one of the largest boot spaces in its class. At a very useful 467 litres, it eclipses what many of its closest rivals can offer. With the rear seats folded, that capacity grows to 1,410 litres. Among the practical features is an optional tow bar that folds up underneath the bumper when not required - and is released via a button inside the boot. Where buyers are likely to be most surprised by the Scala is the interior. There are generous amounts of head- and legroom in both the front and the rear. Only the middle seat's foot space in the back is slightly compromised due to the chassis design. Buyers will be able to specify a full-length panoramic glass roof that brightens up the interior significantly. Large side windows add to this, making the car feel roomy inside, especially in the rear. Although the cars we drove had their interiors covered up while out on public roads, we did get to experience a fully uncovered high-spec model inside the design studio. The dashboard design is a major step up for Skoda, and at its centre is a premium looking tablet-style 9.2-inch 'Amundsen' infotainment screen. It's recessed slightly to help highlight the 'wing' design that mimics the leading edge of the bonnet. A smaller 8.0-inch 'Bolero' system will also be offered, with some markets also offering 6.5-inch 'Swing' infotainment. The top spec Amundsen system will offer a range of connected services including over-the-air updates. A hybrid voice recognition system provided by Nuance Communications, the same company that helped to develop Apple's Siri, is said to understand natural speech patterns and commands and can offer a broad range of assistance. It will feature gesture control, along with Apple CarPlay and Android Auto, with the former allowing for wireless connectivity from the start with Android's version following later. To stay ahead of tech trends, the Scala will feature smaller USB C ports, with two up front and two more in the rear. The Scala The Scala will also be available with digital instrument clusters. A 10.25-inch display offers a variety of different screens including a night mode that shows only the speed to reduce glare when driving in the hours of darkness. When the Skoda Scala goes on sale, it will be available with three petrol engines and one diesel. We got an opportunity to try a selection of them during the test drive event. All will feature particulate filters to help lower emissions. There will be the choice of five- or six-speed manual gearboxes or a seven-speed DSG automatic transmission, depending on the engine. The use of the MQB A0 platform rules out the option of all-wheel drive and there are also limitations as to how much power the chassis can take, with Skoda imposing a 150hp limit. That means it is highly unlikely that there will be a Scala RS model in the future. Another restriction of using the MQB A0 platform is that it won't offer multi-link rear suspension, something that Skoda only fits to models above 150hp. Therefore, all Scalas will use a torsion beam setup at the back. Skoda is keen to futureproof the Scala and ensure that it stands up to ever-increasing safety standards. With that in mind, it will offer a range of driver assistance systems. Front brake assist, pre-crash warning and multi-collision braking will all be standard items, as will lane keep assist. Optionally, Skoda will offer adaptive cruise control, park assist and side assist to warn of objects in the vehicle's blind spot. Up to nine airbags and a proactive occupant protection system called Crew Protect Assist will also be available. There will be two distinct chassis setups, with a Sport chassis pre-set that reduces ride height by 15mm and employs a stiffer suspension setup similar to what Audi does with its S line models. Cars equipped with this setup also automatically get selectable drive modes that can alter not only the behaviour of the throttle and automatic transmission, but also the dampers. It's a halfway house between passive suspension and fully adaptive damping; it can change the characteristics of the shocks in a tenth of a second by throttling the oil flow inside them. As a result, it gives the Scala a firm ride when left in the normal mode, but driving on rougher roads and using the Sport setting made the ride quality seem overly stiff. It's best leaving this setting for those times you find a smooth ribbon of fresh tarmac we reckon. In stark contrast, the standard suspension setup provides a balanced ride that is comfortable without impacting on the sharp handling characteristics of the car. A prime example that sometimes less is more. Incidentally, all of the prototype cars that we drove rode on 17-inch alloy wheels shod in summer tyres. The steering is accurate and just on the light side when driving in the normal modes. It adds some resistance when you select the Sport mode, but the overall character of the car doesn't change a great deal. At lower speeds, the Scala is agile and as adept at tackling snaking back roads as it at dealing with city traffic. When it comes to engines, Skoda expects that petrol will form the bulk of sales. We first drove the 1.5-litre TSI with its six-speed manual transmission. With 150hp it pulls the Scala along with ease, and there's a decent quality to the gear shift action with the manual. Smoother still is the seven-speed DSG automatic, though it tends to get up through the gearbox to the higher gears quickly to keep engine speeds down. Helping fuel consumption in this engine is a cylinder-on-demand system. When on part throttle and cruising, ignition to the two centre cylinders is cut off to reduce fuel consumption. The 1.6-litre turbocharged diesel produces 115hp and has ample pulling power for a car in this class. The full technical specifications have yet to be confirmed, but we suspect it has in the region of 250Nm. With the automatic transmission, as with the petrol version, engine speeds are kept low for the most part, with the seven-speed gearbox keeping within the engine's sweet spot of performance. We don't yet know pricing or equipment specifications for the Skoda Scala; we'll have to wait until closer to it going on sale in 2019 for that. What is expected is that Skoda will price the Scala competitively. Even though it is a significantly larger and better car than the Rapid it replaces, in the Czech Republic at least, prices are only expected to increase by €1,200. If that translates to our market, expect the Scala to be right in the mix with models like the Kia Ceed. It is likely that three trim levels will be available from launch, and there's a likelihood that in time a Sportline version could be added, although our Skoda sources don't expect there to be a range-topping Lauren & Klement model to rival the Ford Focus Vignale. Our first experience of the Skoda Scala reveals a car that is far more refined than the previous Rapid Spaceback. It packs in all of the right in-car tech and driver assistance systems to ensure it should remain at the sharp end of the segment for years to come. 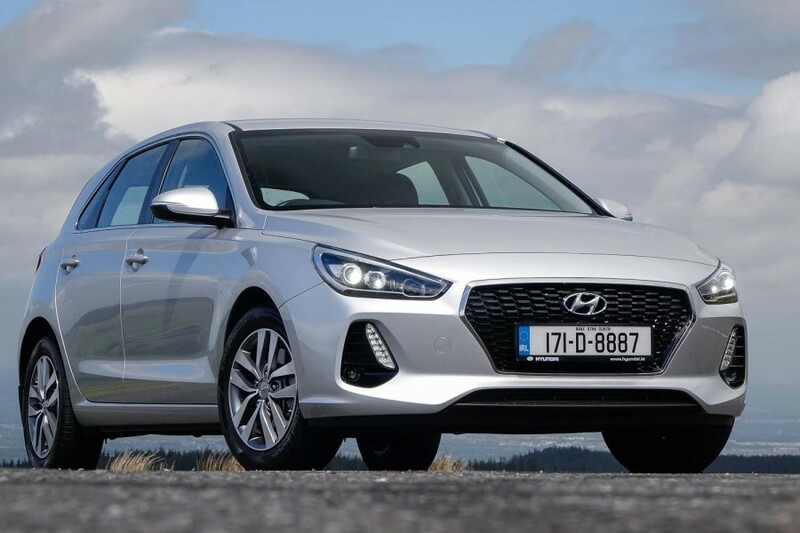 Hyundai i30 vs. Skoda Scala (2019) prototype: very good at what it does, but is lacking in character. 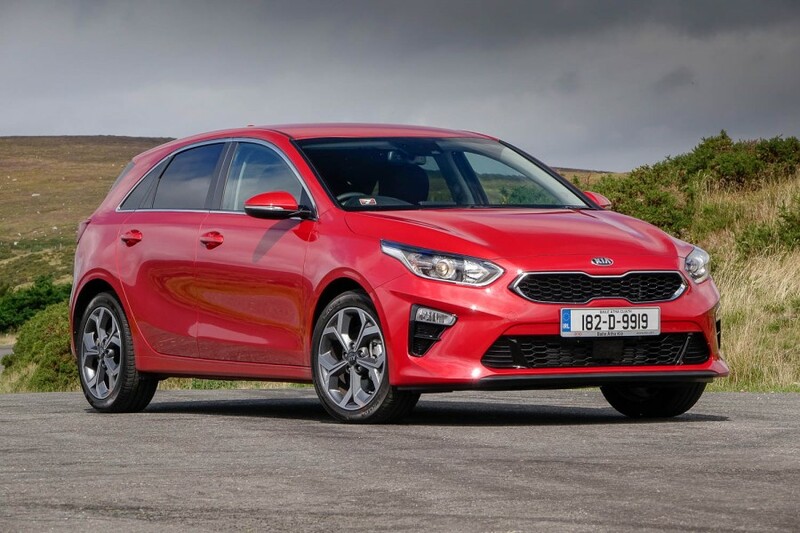 Kia Ceed vs. Skoda Scala (2019) prototype: now one of the best cars in the segment, it is refined and a great overall package. 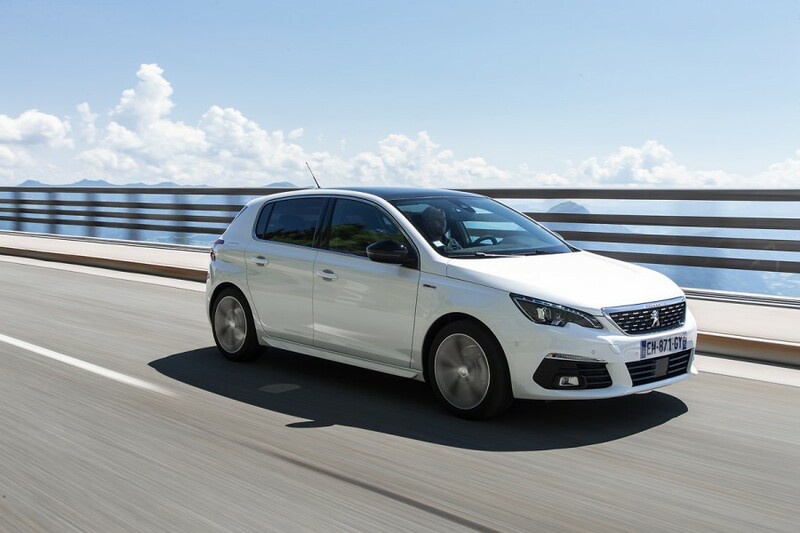 Peugeot 308 vs. Skoda Scala (2019) prototype: offers good levels of space inside and features a decent choice of engines.